‘Putting children on a hi-vis alert in the community is depriving them an opportunity to take responsibility for their own safety.’ KAREN HOPE and HELEN JENNINGS, explore what this means and give their perspective on pre-school aged children wearing hi-vis clothing when outside the enclosure of their child care setting. In parks, museums and other public spaces there are groups of preschool-aged children turning orange on excursions. You might have noticed these children, and their educators, as they move about in your community. They would be easy to see as they stroll about wearing hi-vis vests that people employed in hazardous industries wear as personal protective equipment. Hi-vis vests were designed to signal a person’s presence in a potentially risky space, so why are children wearing them in the park? The rise of young children wearing hi-vis vests on excursions is perplexing. Is it an issue of personal protection, or an issue of ‘perceived’ efficient supervision— where supervising children is so much easier if they look the same and, even better, have the service name emblazoned on the back? Or, worse, is it a case of fashion— where it’s a matter of keeping up with the service down the street? Whatever the reason, what are Educators saying when children are required to wear personal protective clothing to the park? Is the interpretation for children that: ‘There are potential risks for you in this situation and being outside with the community requires protective equipment’? What does this tell children about venturing into the community? Are we suggesting that being outside the confines of a service requires special, different clothes? The message this sends is that simply walking in the streets and parks is not a normal activity. To enjoy it requires planning, preparation and protective clothing. It is no longer a simple pleasure. We are not suggesting that preschool children be free to roam the streets unsupervised. But neither should they be seen as ‘other’ to the norm—these are their streets and parks too. And what of the adults who see children in hi–vis vests. What message does this send to them? Are they thinking children are outsiders because they are outside the ‘norm’? Adults are not expected to dress differently when in a group, why should children? Early childhood educators are charged with the responsibility to keep children safe. 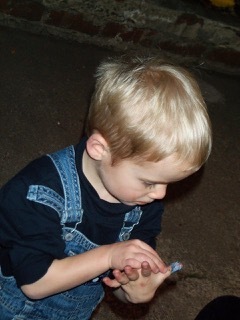 Active and efficient supervision and engagement with children are ways they do this. The National Quality Standard, the National Law and the Early Years Learning Framework all help ensure they acquit this responsibility. Educators want children to be safe, but there is a difference between being safe and safeguarding. The risk versus safety paradox is very much in play here. In early learning, it is widely believed that children are citizens with rights, potentials and competencies. We too believe this, and that children are experts in their own lives who do, and should, encounter risk in their social, physical and personal lives. The challenge for educators is to provide programs through policy, practice and frameworks that safeguard children, yet which also give them opportunities engage in supported, risk-taking situations. This in turn supports a deeper understanding of risk. 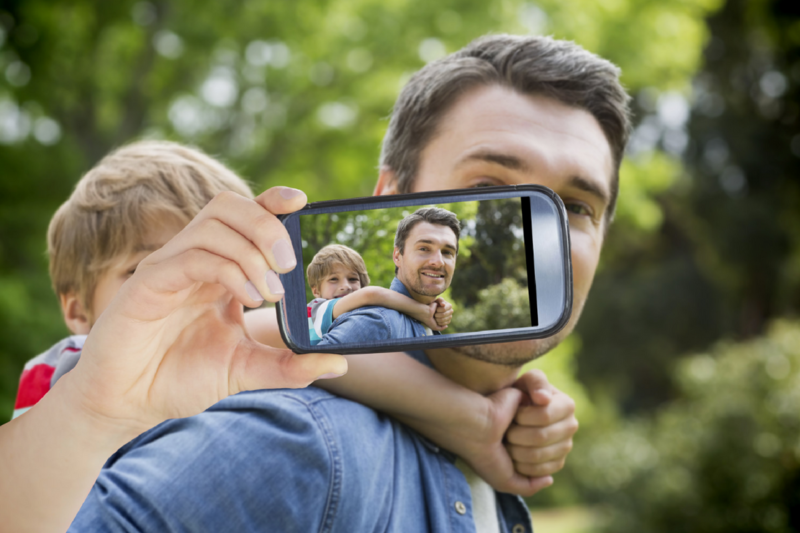 A big feature of modern day childhood and parenting is surveillance. This is achieved through regulations, technology and a focus on risk minimisation. It could be argued that risk and danger are inherent features of childhood. Life is risky. Exposure to an unfamiliar environment supports a child’s autonomy, creativity and the capacity to make decisions. It also supports their capacity to evaluate personal risk. When educators demonstrate a deep respect for children’s skills, intelligence and potential, a trust between them is formed. The inclusion of risk in programs builds on children’s intrinsic motivations to do the right thing. When children are dressed in hi-vis vests they are deprived an opportunity to not only take responsibility for their own safety but to engage in risk. Society needs to deconstruct what is a pervasive panic about children. Risk should not be managed by dressing children in a manner that results in them being alert and alarmed. The risk around children going on excursions should be managed by an increase in the number of adults supervising children, robust planning pre-excursion, and a reliance on children. Not by dressing them in hi-vis vests. Helen Jennings is a consultant social planner who works with local governments and non-government organisations. She has previously worked in a range of roles including neighbourhood planning, family and children’s services and managing an adventure playground. 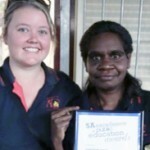 She is currently tutoring in city planning at Melbourne University. Helen’s interest in the city, place and children’s mobility stems from her studies in Urban Anthropology and observations of how place is used and how groups are included or excluded through subtle design. 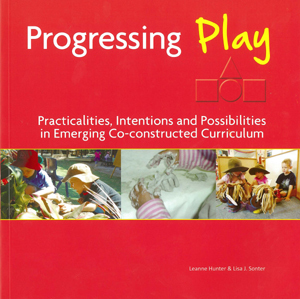 Progressing Play: Practicalities, intentions and possibilities in emerging co-constructed curriculum presents professional stories, suggestions, resources and possibilities to support the head, heart and hands of early childhood educators. The authors aim to inform and challenge educators to reflect upon and build understandings about emerging co-constructed curriculum. Progressing Play advocates for the importance of affording children time and opportunity to be, play and feel a rich sense of belonging to their world. You can purchase a copy here. Can inclusive education do more harm than good? Karen is an early childhood consultant, academic and freelance writer who has had extensive experience in a broad range of services within the early childhood care and education setting. Beginning her career as an Early Childhood Educator, Karen has worked in sessional Kindergarten programs and Long Day Care programs. Karen has a Bachelor of Early Childhood Education and a Masters in Education. Karen established Karen Hope Consulting in 2014. This consultancy practice specialises in professional development training and coaching to the early childhood education and care sector. She aims to provide services with a 'disruptive' approach to professional development that aims to challenge the dominant discourse. 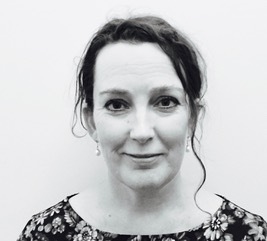 Karen also works in the higher education sector and is a senior lecturer in play theory and pedagogical documentation in the Bachelor of Early Years. Karen has a strong interest in the delivery of pre-service teacher training and is skilled in delivering innovative and flexible learning resources. Karen has had worked published in Every Child magazine and The Challenge -The Reggio Emilia Australia Information Exchange Journal. 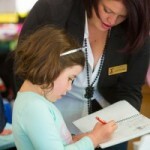 Karen is also a regular contributor to The Spoke, Early Childhood Australia's Blog and Early Talk, Early Learning Australia's Blog. 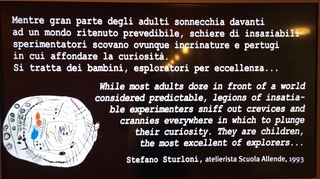 Karen's consultancy practice and writing is strongly influenced by the Reggio Emilia project. She can be contacted on karenhopeconsulting@gmail.com. Just another example of helicopter parenting sadly. Allowing children to be children taking and learning from risk taking, is what childhood should be about. “We ought to protect children from harm in ways that support their dignity and reflect our professionalism and we ought to respect their agency and right to be in their community in the same way as other citizens.” Visibility vests were never needed in the past, so why now? Who is advantaged when we put children in these vests? The people who sell them? The educators ? All this article says to me is you don’t believe in risk assessment and lessening potential of harm to children. Fabulous article! Dressing children in hi-vis gives the illusion of safety and ease of supervision, but does not assist children to feel connected, engaged and confident in their communities. Why so many negativity about a vest that makes easier for supervison? Nowadays, there is no more acknowledgement, talking or articles about the good things that happen around us, it is all about criticism. These approaches create the illusion that everything is perfect and if children do not display the perfect behaviour it is parents/ educators fault. There is no right or wrong when educating children, each child, family and early childhood facilities are different. We should acknowledge the effort that educators put on planning excursions for children and to go through risk assessment to keep many children from different upbringings and cultures safe in a public environment. Thank you for making me laugh at the ludicrous until my sides ached. Can you write an article to follow this considering why educators in larger settings have to also suffer this same type of “branding” in hi-vis? As an educator who had taught across borders (EC-primary& back again) I resented wearing hi-vis while on yard duty. What happened to establishing relationships with those in your educational community so that you simply just knew each other? That a luminous glow was not the thing that defined you? Being recognised for connection is surely more meaningful than for what you wear……. Karen’s thoughts about hi-vis clothing are interesting but I feel she is missing an aspect. Preschool children don’t wear any sort of uniform, school children do. When outside the preschool service, hi-vis clothing or as we call them in Sweden vests, are like having a uniform which identifies those belonging to the group. In Stockholm, Sweden we have used vests for many years when leaving the confines of the preschool. We have many preschools as around 95% of all children go in preschool (ages 1-6 year olds). 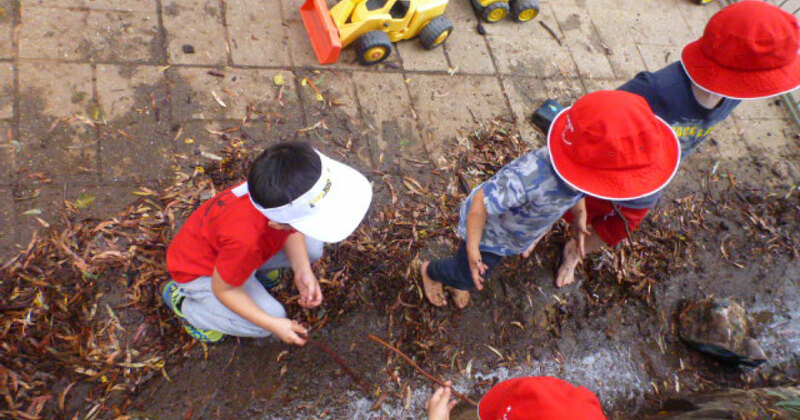 In a park, there can be several different preschools visiting at the same time. We adults often have something which identifies us too – name on a jacket or an adult sized vest. It works! We see our children easily, we know which staff we can contact if another child is sad close to us and It helps the children find each other in the park. Having the preschool’s name and telephone number on the vest is a sensible safety precaution in the event that a child should be separated from the group. Safety first in a big city. Working with children taking responsibility for their safety is not undermined by having a uniform on, why should a vest be any different. A focus on whether adults trust the children, allowing them take appropriate risks is what needs to be discussed in more depth, and parents are often the ones who need help with this.